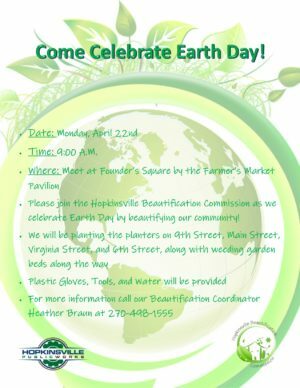 Please join the Hopkinsville Beautification Commission as we celebrate Earth Day by beautifying our community! We will be planting the planters on 9th Street, Main Street, Virginia Street, and 6th Street, along with weeding garden beds along the way. Plastic Gloves, Tools, and Water will be provided. Meet at Founders Square by the Farmers Market Pavilion at 9:00 A.M. on the 22nd of April. For more information, call Beautification Coordinator Heather Braun at 270-498-1555. 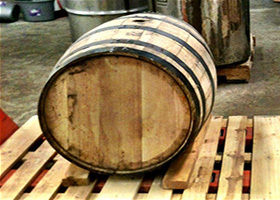 Whether you need to wind (or shall we say wine?) down from a long week at work or looking to kick-off the weekend right, Fridays at 5 is just for you! Join Hopkinsville Parks and Recreation as they let the good times roll with live music and friends from the community located right on the corner of 9th and Bethel Street. Friday, June 14th, Jason Lee McKinney Band will be featured on the Square! 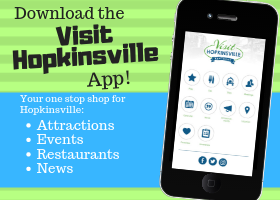 Join Hopkinsville Parks and Recreation for Fridays at 5 - Squealin' on the Square - Secondhand Crush. This event will take place at Founders Square, Friday, July 19th from 5:00 PM to 9:00 PM. 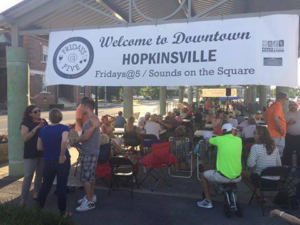 Join the City of Hopkinsville and Hopkinsville Parks and Recreation for Fridays at 5 - Sounds on the Square. 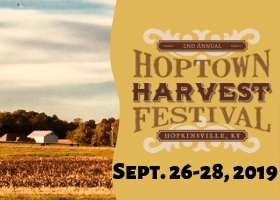 Friday, August 23rd - Fridays at 5 will be part of the annual Hopkinsville Summer Salute Festival. Artist will be announced at a later date. Join Hopkinsville Parks and Recreation for Fridays at 5 - Badgett Playhouse "Sounds of 80's." This event will take place on Friday, September 13th at Founders Square. 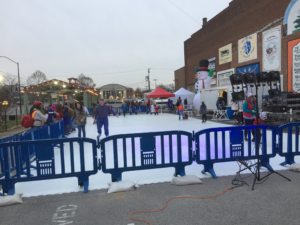 December 12th - 15th, Hopkinsville will be transformed into Hopkins-chill, offering an array of family-friendly holiday activities downtown, including the 2nd Annual Skatin' on the Square event. The 2,500-square foot rink, which measures approximately 60 feet long, will be positioned within the Founders Square parking lot and accommodate 80 skaters during a single session. Times for Skatin' on the Square will be announced at a later date.